Freelancing is not about being a very good programmer because you cannot program your way into the freelancing world. I have been freelancing for more than a decade but still, face issues when I try to explain problems to clients. I try to explain the problem where as they are looking for a solution and aren’t too much concerned about the problem. Keep those problems to yourself and provide a solution to clients and move on. For developers, computer and internet connection is more than enough but freelancers need much more. A good developer can be an awesome freelancer but the best developer may not be a good freelancer. 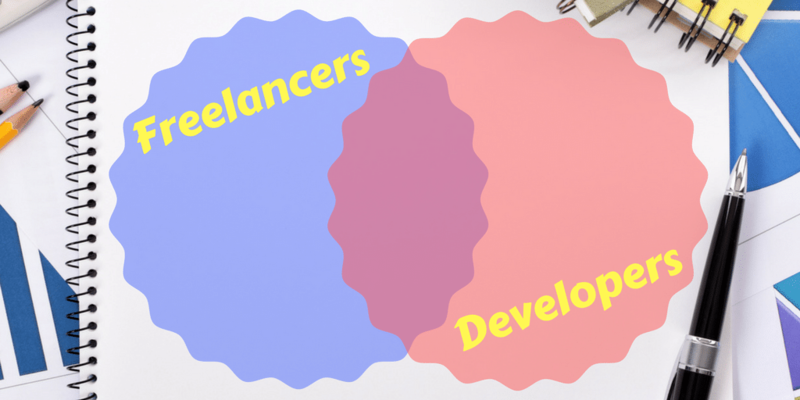 So here are 5 things which developers need to adapt to become a freelancer. Many people have issues working alone and if you are one of them, you can have a tough time as a freelancer. You should not only be technical sound to solve problems on your own but also enjoy working alone and don’t need coworkers around to get you driving. Working from home comes with many distractions and everyone won’t be comfortable writing codes and doing programming when kids are jumping around or when your wife’s friends are in the living room. If you prefer working from a coffee shop, you still need a high level of concentration to be able to work with distractions around. Look for an area where you can work with concentration. Are you that kind of a guy who procrastinates and needs someone to take the best out of you? If yes it will be really tough for you to be a self-employed freelancer. Freelancers need to be self-motivated to whatever they are working on and don’t need a manager or to instruct you to be doing things. This is really crucial to be a freelancer. At times you need to make a move to a new technology or say no to a client. Being able to take those decisions is very important for your freelancing career. If you don’t have a strong decision making power, it can be really tough for you to be a freelancer. Taking decision may seem so easy but believe me, this is one of the toughest things to do. If you think you are very strong in taking your decision just answer these questions. How much time did it take for you to decide the clothes that you are wearing now? How much time did it take for you to decide which smartphone to buy? Did you take the decision to buy the smartphone you are using now or your friend helped you? You are responsible for all your actions. Though this is true when doing a job, it is exaggerated as a freelancer. If you are a person who shies away from being responsible for any mishaps that can happen, freelancing is not for you.